"...outweigh..." "The needs of the few." "Or the one." 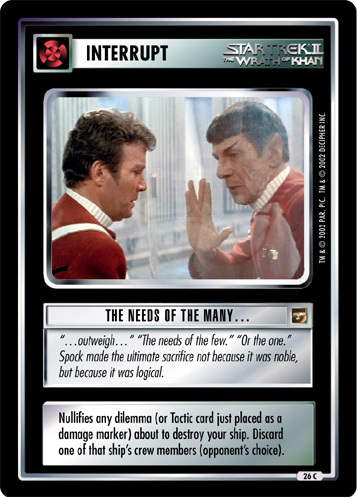 Spock made the ultimate sacrifice not because it was noble, but because it was logical. 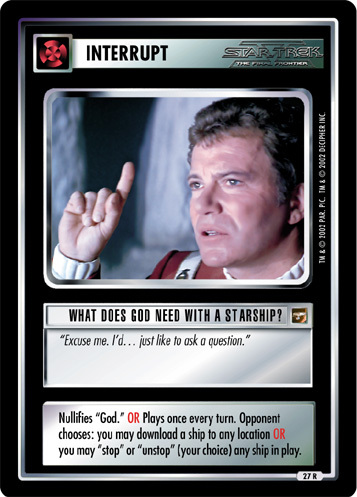 Nullifies any dilemma (or Tactic card just placed as a damage marker) about to destroy your ship. 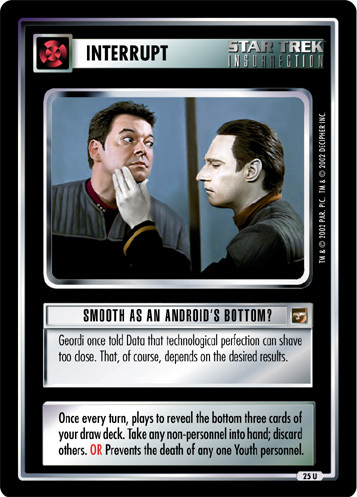 Discard one of that ship's crew members (opponent's choice).